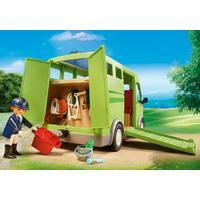 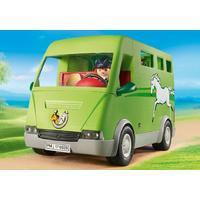 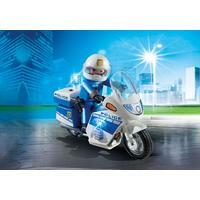 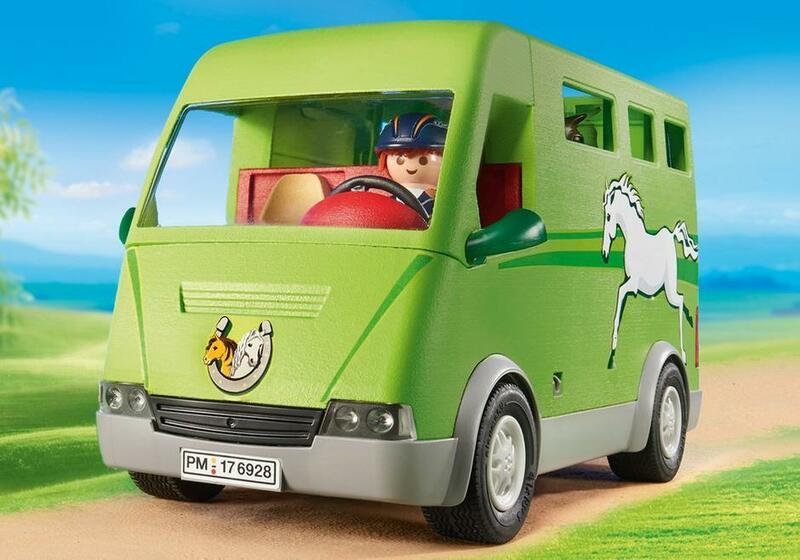 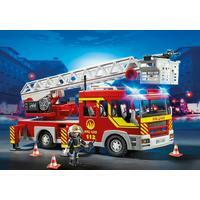 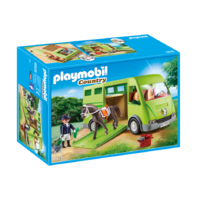 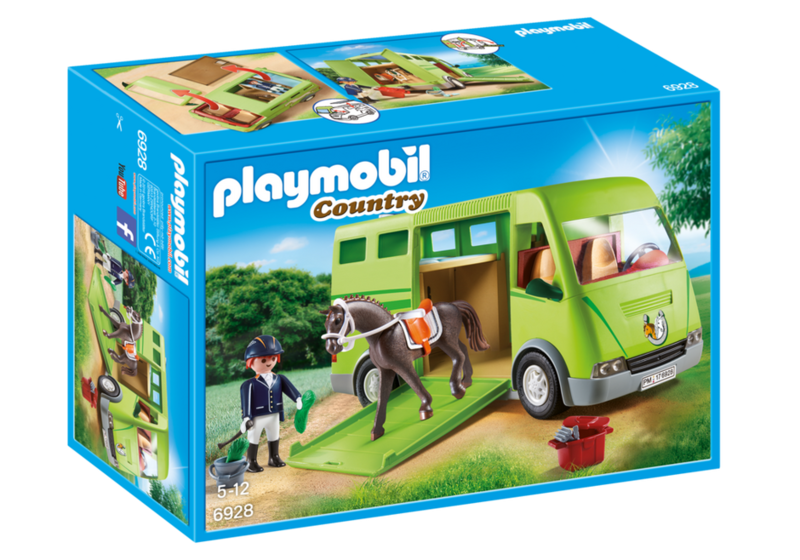 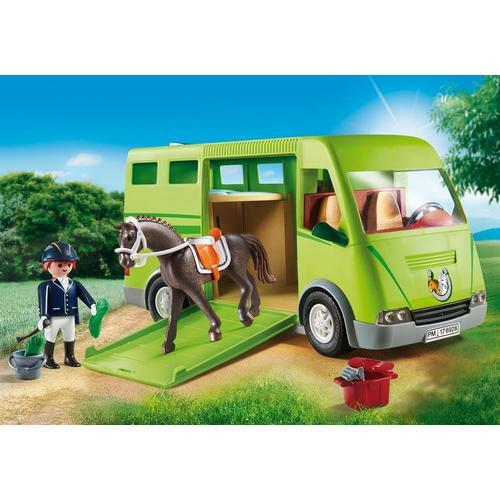 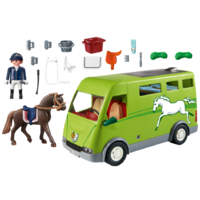 Arrive safely at the show thanks to the Playmobil horse transporter. 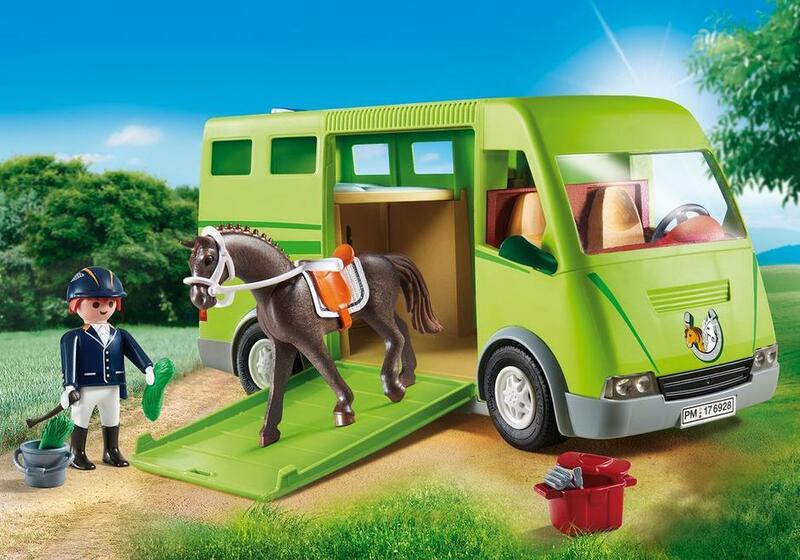 This vehicle makes it easy to transport up to two horses, both of which can easily be guided into the vehicle by the foldable side ramp. 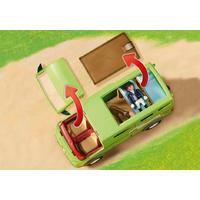 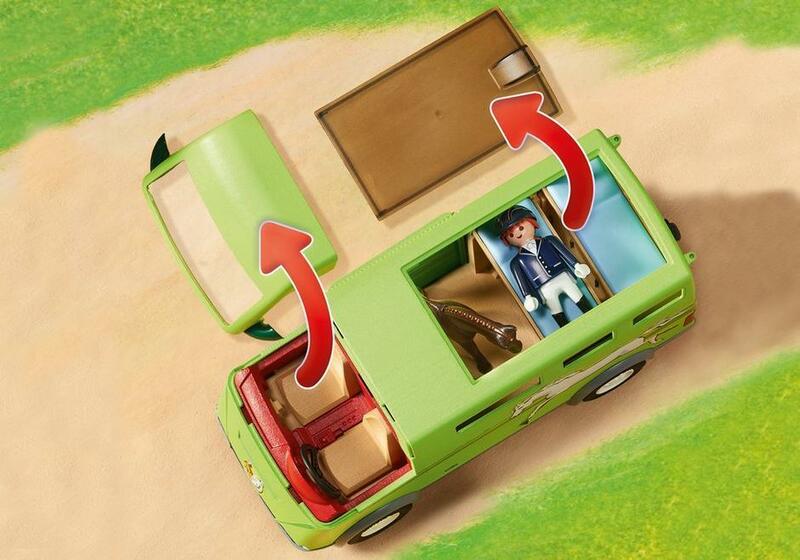 For longer journeys, open the roof to reveal two cots where you can take a rest before continuing on. 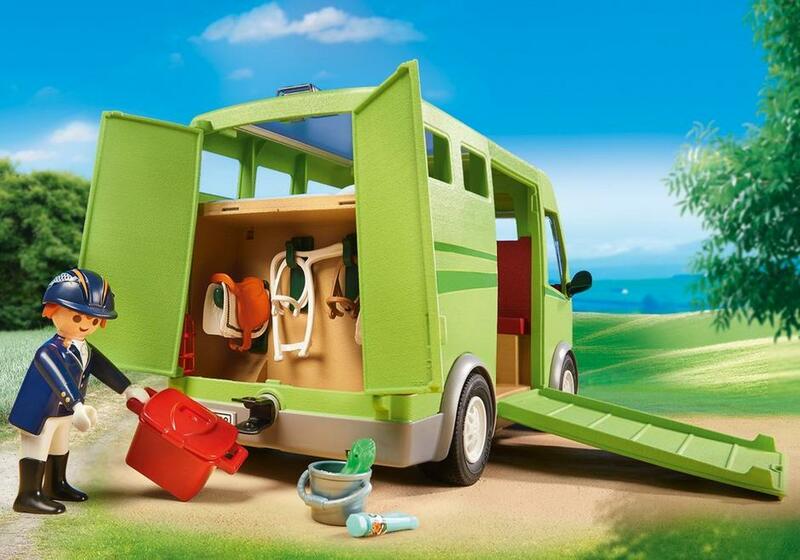 All equipment can be stored easily in the back through the double doors. 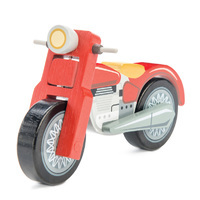 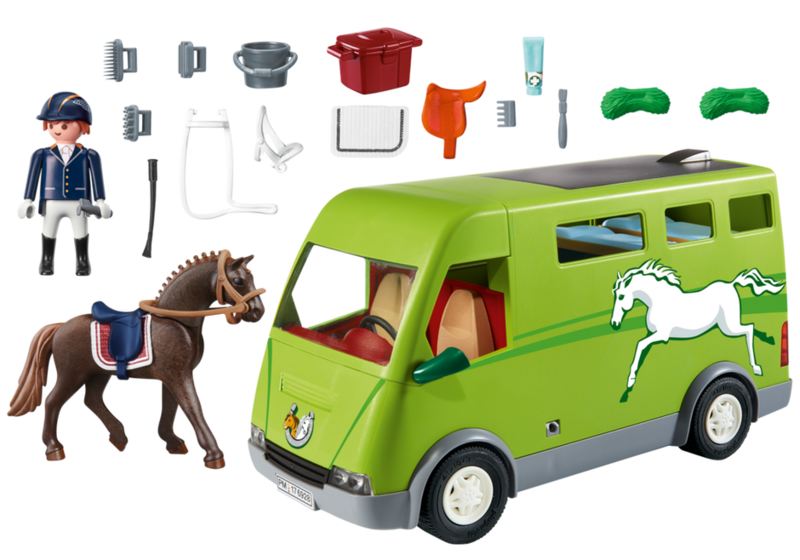 Set includes one figure, horse, feed bucket, grooming tools, saddles, reins, and other accessories.